Relatively good quality: Made of Chinese parts making durability questionable. Though it’s the latest version it’s cheaper than older model. Registration takes just a couple of minutes. The menu system takes a while to get used to but once figured out it’s simple to operate. Any aspiring or established mechanic should definitely add this diagnostic tool to their workshop because of its scanning capabilities. Its versatility means you can use it on various car models which automatically equates to an increased client base. It has advanced features that’ll take care of all your vehicle servicing and maintenance needs—with accuracy. If you’re unsure if this is the right product for you have a look at our review. We let you in on the different specs this DS808 has. Maybe you’ll discover it’s exactly what you need to get a step ahead of your competitors. This Autel MaxiDAS DS808 is basically the upgraded version of the DS708 but offering more capabilities where performance is concerned. It features new specs that aren’t present in the old model including the Smart AutoVIN and Shop Manager functions. The scanner boasts impressive vehicle coverage meaning you can use it on a number of cars: more than 80 vehicles from Asia, Europe and the US from the year 1996 to 2017. All vehicle electronic systems are covered using the OE level system. However, note it might experience challenges when reading the VIN for the older car models. By choosing this unit you’ll access the Electronic Control Unit (ECU) of a number of vehicle control systems. The transmission, engine, anti-lock brake and airbag system fall under some of the mechanisms covered by this device. Apart from locating problem areas on the vehicles you can also clear codes with ease as well as perform the necessary active tests. These tests are more advanced in that they enable you to test output elements as opposed to relying on the ignition status. A few customers have however discovered that at times it doesn’t clear codes completely. With this tool you can quickly access a vehicle’s systems to retrieve information on the scheduled service or maintenance required. Weighing only 2.05 lbs., this unit is quite lightweight and portable making handling hassle free. This product is best suited for the car repair shop owner or DIY mechanic looking for a cost effective gadget with better functionality. Though it’s an upgrade which comes with more useful features than the previous model, you’ll still get it at a competitive price, if not less than the older version. Autel is one of the world’s leading brands in the automotive aftermarket making it ideal for customers who expect nothing but the best products from reputable manufacturers. This tool allows you to carry out vehicle repairs with minimal effort because of its advanced built-in mechanisms. Since it has broad vehicle coverage, a number of car service shops will find this tool useful as it’ll enable them to service a wide range of vehicle models. This device features multi-tasking capabilities and runs on the Android operating system. It comes with a 7” LCD touch screen which is super responsive for easier and intuitive operation. The OE level diagnostics feature is designed with utmost concentration and accuracy for optimum performance. You don’t have to worry about speed because it runs on a fast quad core processor for increased efficiency throughout your diagnostic procedures. 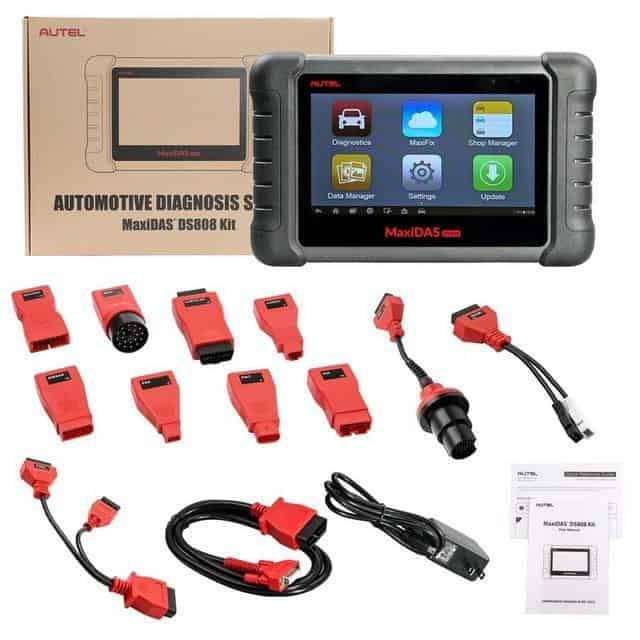 This nifty device is specifically designed to offer advanced automotive diagnosis and analysis. It allows you to put live data and coding of the vehicle under scrutiny. With this machine, different functions are possible such as matching and adaptation to ensure you identify the problem a car has. You can perform a number of service functions commonly associated with cars including oil reset, TPMS programming and ABS services. The device includes updating software to update the MaxiDAS system automatically. However the non-professional mechanics will find the price of the updates a bit steep. You’ll appreciate that the manufacturers provide you with a 1-year online update which is guaranteed in full. The oil service reset function resets the engine oil life system. As a result it automatically calculates the times to change the car’s oil depending on weather and driving conditions. It also turns off the warning light where necessary. You can look up the tire sensor IDs by simply accessing the vehicle’s ECU thanks to this device. In addition, it performs the necessary reset procedures commonly associated with tire replacement. This diagnostic tool allows you to also perform various tests to check the performance levels of the anti-lock braking and supplemental restraint system. Any steering issues are sorted out with this tool thanks to the SAS service functionality it comes with. From steering angle adjustment to turning of steering wheel warning lights, this device will rectify that. If you’re also looking to clear matter from the DPF filter to stabilize the filter performance then this device is your go-to. 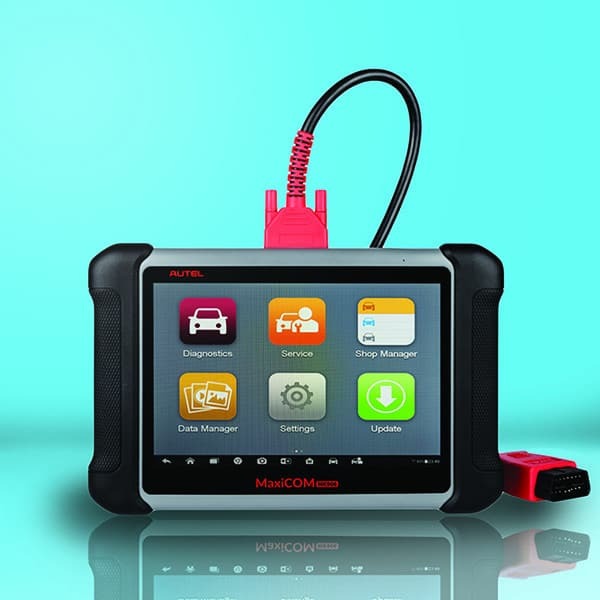 To successfully analyze and scan your customer’s vehicles, you’ll agree that only the best diagnostic tool will do. The DS808, though not from one of the premium brands, is definitely worth considering where affordability and functionality are concerned. By offering accurate diagnostics it increases your chances of quickly identifying and solving problems associated with various motor vehicles. The efficiency of this device not only guarantees customer satisfaction but repeat business. After all increasing your client base is one of the goals of owning a car repair shop, don’t you agree?